By The Legal Process, Your Rights, and What to Expect Lyne Ranson, Esq., Brittany Ranson Stonestreet, Esq. Lyne Ranson, Esq., Brittany Ranson Stonestreet, Esq. Attorneys Lyne Ranson and Brittany Ranson Stonestreet understand your needs. During their nearly thirty-eight years of practicing family law, they have helped hundreds of individuals navigate the maze of divorce. In Divorce in West Virginia they answer not only the questions on your mind but also those you may not have thought to ask. 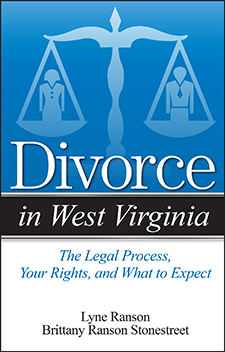 How long does it take to get a divorce in West Virginia?